SPANISH beaches packed full of holidaying Brits could be the next target for an Islamic State attack, a security expert has warned. 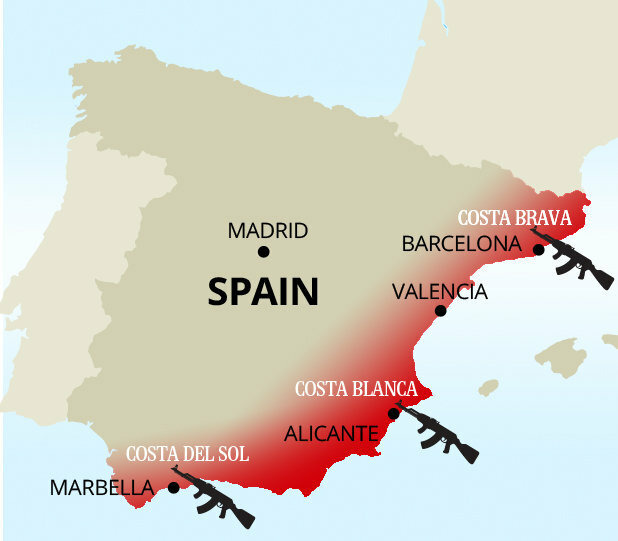 The Costa Brava, Costa Blanca and Costa Del Sol have been highlighted as key threat areas with fears of a Tunisia-style atrocity being repeated in Spain. The Daily Star Online revealed earlier this week how UK tourists are being labeled as “high value” targets by ISIS extremists. In a chilling warning, Spain’s interior minister said counter-terror chiefs were working “day and night” to thwart any attacks. And a top counter-terrorism chief has now singled out the popular Spanish coastline as an area Islamist killers have in their sights. 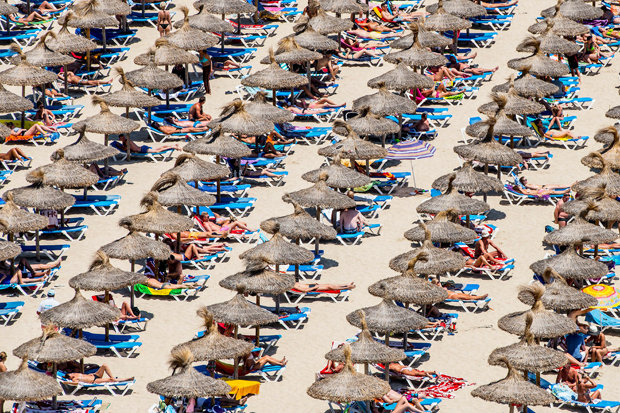 Will Geddes, head of global security firm International Corporate Protection, says Spanish authorities have ramped up armed patrols near holiday hotspots with fears of a “Sousse-like” attack from the sea. He told us: “The framework and method for ISIS attacks would lead them to potentially attack tourist resorts as seen recently in Tunisia. Beaches rammed full of Brits near the likes of Barcelona, Alicante and Malaga are thought to be most at risk. While busy major city centres such as the capital Madrid and Valencia are also thought to be likely targets for a mass-casualty attack. Mr Geddes added: “My sources say authorities are raising the presence of Guarda (civil guards) and police to protect tourists from any possible plots and provide an increased presence for reassurance. “They are keeping watchful eyes on any historically attacked locations, such as train stations, bus terminals, government buildings as well as areas with large amounts of people and especially tourists. His comments come after Spain raised its security level to the highest since the 2004 Madrid bombings which killed 191 people. The Spanish interior minister has said police were doing everything they could to ensure the safety of the people. Over 12 million Brits travel to Spain every year. Many own holiday homes in the likes of Benidorm, Marbella and Fuengirola. While others escape the UK for a holiday to the Spanish coast – known for its sun, sea, sangria and sand. But Mr Geddes explained Spain has somewhat surprisingly been battling terrror for a number of years despite it not being widely reported in the UK. He said: “The country raised its security level a month ago, the highest (Level 4 of 5) since the 2004 Madrid Bombings, as a result of an increase in intelligence chatter about ISIS. And the security source explained that it is not just Spain at threat of a large-scale attack. “Virtually every country across Europe has been affected by the rise of ISIS,” he said. “Both in terms of nationals travelling to Syria and Iraq as well as domestic radicalisation. “This includes countries you wouldn’t generally think have people joining the terror regime – such as in Finland, Belgium and Sweden. 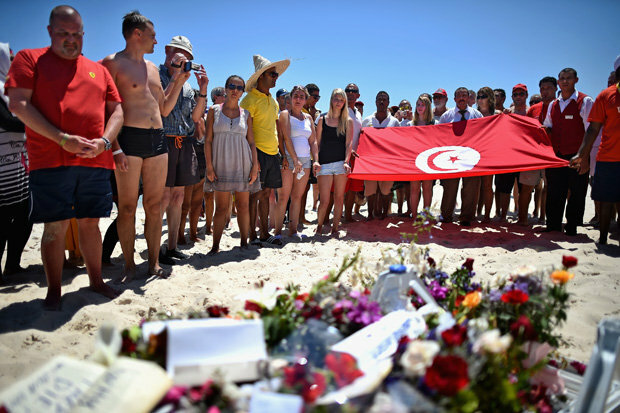 Yesterday the Foreign Office urged Brits in Tunisia to fly home immediately following last month’s Tunisia terror attack, which saw 30 Brits shot dead on a popular tourist beach in Sousse. It has warned against all but essential travel to the North African country as 3,000 Brit tourists and Thomson and First Choice reps are urgently flown out of Tunisia amid fears another attack is now imminent. In their Spanish advice statement, the Foreign Office said: “There is a high threat from terrorism. “Attacks could be indiscriminate, including in places visited by foreigners. A ten point safety plan has been released telling Brits to stay vigilant for terror attacks before jetting off on holiday. The advice ranges from checking local news sources to making yourself aware of safe locations in the area. This entry was posted in Uncategorized and tagged British citizens, How to act during a Terror attack, is, ISIS, Potensial Risk for Terror Spain, Radical Muslims, Terror Attacks, Terror Risk, Terror Spain, Terror Tunisia, Terror Warnings. Bookmark the permalink.